Network Quake Review – Sam Bakker - $27 U.S.
Network Quake Review (AffiliateInABox) – I would definitely recommend checking out this product. This product consists of a video series (approximately five hours), as well as some .pdf files discussing viral fan pages, PPC, and applications. While I don’t normally like watching video (because they take time), I did go through most of them, and found his videos professionally done as well as informative. (The videos towards the end became a bit more technical which I found more useful). Plus, his voice was actually easy to listen to, which made the experience more pleasant. (Sometimes you hear other video courses where the guy has an annoying or whiny voice, or just drones on — Sam’s was actually pleasant to listen to, and he actually sounded interested in what he had to teach which was refreshing). If you’ve never set up a facebook page for marketing, then you would like being showing step by step what you need to do to. You can watch over his shoulder as he creates an account, creates fan pages, adds friends, adds FBML code for applications, creates group pages and discusses fan pages. And you can ‘see’ what is being done, so that you can implement similar strategies yourself. 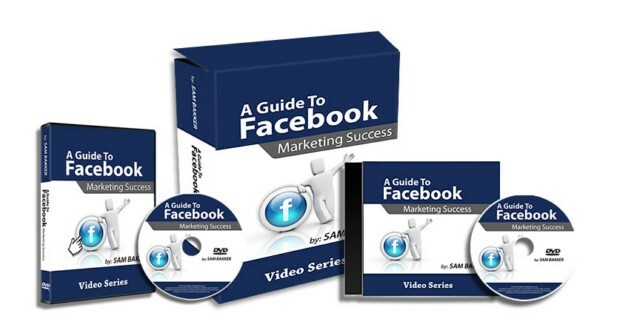 I would say that if you are a beginner or intermediate facebook marketer, then you would find the videos as well as .pdf files useful. If you are an advanced facebook marketer, then I would say you would still find some use in terms of the applications aspect and setting those up. Overall, this product is worth checking out if you plan on doing any serious facebook marketing. At $27 (the special being offered at the time of this writing), I would say it was worth it. It is quite comprehensive, and shows you step by step what you need to do. It is kind of like having a coach over your shoulder watch you, and tell you what to do.